due to design, or even user errors that are not trapped. 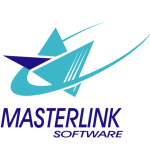 MasterLink Software will provide support services for two quarters following the licensing of any product. Thereafter users will be required to pay for support services. Our support is very personalized and specific. We must know the nature of the problem to assist. Our Windows based products actually have email capability that will generate a message to tech support, and include the error file from the last incident. It is important to use this when a problem occurs, and to include a brief statement about what you were doing, and what resulted. Our DOS clients will need to generate an email, and attach the error.log file in their servers primary program directory. Support is not training or data entry. We provide extensive documentation and our Auto Shop Writer 2012 documentation is fully integrated. From any window in the program you can press an F1 key and have the manual reference page displayed. We provide an on-line manual which is present on each workstation, and we provide files that can be read on your monitor ( PDF format ), and a file that can be printed ( Word .doc file ). We do not support hardware. We are a software publisher and do not sell, or support, any hardware or peripheral components. We also do not provide training, or support, in basic Windows operations. We strongly encourage our clients to obtain, and read, one of the basic Windows operation books. These are inexpensive, well illustrated, and only focus on what every user of a computer should understand. We do not provide FREE support. MasterLink Software is a business and has expenses just like your company. If you are an automotive repair center, you must charge for every vehicle you service. We must do the same because we have our staff, contractors, and suppliers to pay for the work and services they provide. While many companies routinely retrieve data from your system, mine it, and then sell the results, MasterLink Software respects the fact this is your private, business, information. We do not upload any information to our servers. We do not scan, monitor, or otherwise retrieve any of your data. It resides privately on your computers. Our Auto Update System will download new files and licensing information to your server, and your system will use that to benefit from the latest features we can offer. If we provide online support, we access your computers only in your presence, and with your permission ( granted when you setup the connection. This is your private information. When considering any software product, be sure to affirm you retain full control over our private business information.